The first figures on the purchase by consumers on Black Friday and the last weekend show significant strength in private consumption. The data published by the firm Customer Growth Customers should be highlighted, which shows that between Thursday and Sunday some 60 billion dollars of products were sold in the US through different sales channels, which represents a 6% increase over the same period last year. 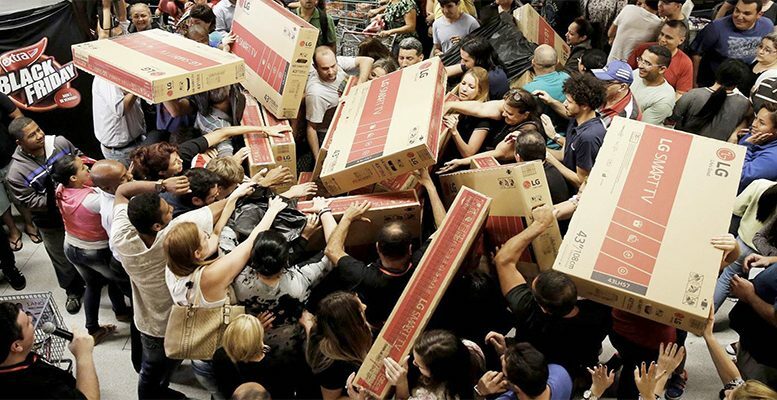 Black Friday alone, according to figures from Adobe Analytics, saw online sales of 6.2 billion dollars, an increase of 24% compared to the same day last year. On the other hand, in the UK market, according to the initial data from Barclaycard, which processes about a half of credit card transactions in this country, the volume of operations during Black Friday have increased 16% but the total value of these fell 21% compared to last year. Furthermore, online sales during Cyber Monday reached a record level of 7.9 billion dollars, + 19.3% compared to 2017, as reported by Adobe Analytics, which monitors the transactions in 80% of the major distributors in the US. 25% of these sales were done on mobile phones. Although physical sales have fallen – 4%/- 7% in these two days, there is already a tendency towards online as opposed to physical sales, especially during the season or these days when weather conditions are adverse (cold and snow on the East Coast; rain on the West Coast). The US consumer confidence for November was published current week, which fulfilled met, remaining at high level, falling only a few decimal points compared to October (135.7 compared to 137.9), which was the best registered since 2000.